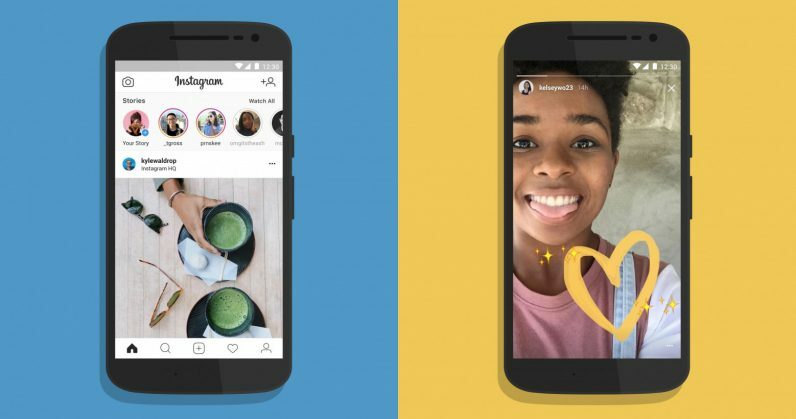 Instagram has released a lightweight version of its Android app that should be easier to install and browse on devices short on storage space and on spotty connections. The launch is part of Facebook’s approach to reaching the next billion people who will come online for the first time in developing countries, mostly using low-cost mobile devices with limited access to connectivity and data. Making its apps more easier to download and perform well on low-end devices is key to growing its user base around the world. To that end, Facebook made Lite versions of its apps for its social network and Messenger available years ago. Twitter has one too, and Google recently launched an optimized version of Android – complete with a suite of its essential apps – to address these needs in emerging markets. Instagram’s been on a roll lately. It added 300 million users in a little over a year to reach 1 billion last week, and has tacked on loads more features to its service recently, including group video calls, support for longer videos in what it’s calling IGTV, tools for curating saved posts, and improving discovery with tweaks to its Explore tab. With its new Lite app, it’s better poised to draw in more users who haven’t ever shared a photo on the web yet. Instagram Lite is now listed on Google Play, but it looks like its availability is limited to select countries; I couldn’t download it on my Android devices here in India. We’ve contacted the company to learn more about that, and will update this post if there’s a response.